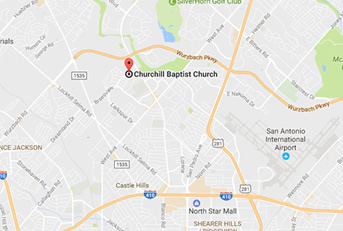 Churchill Baptist Church - San Antonio, TX: Why Do We Emphasize Faith Path? Home > Why Do We Emphasize Faith Path? Walk the Path. . . Recent surveys reveal that 70% - 90% of students from Evangelical and Mainline Churches who attended church regularly in high school dropped out of church by the age of 23. Over 1/3 of them have never returned to church again (even by the age of 30). Remember, these are the statistics for families who brought their children to church on a regular basis. Obviously something has gone terribly wrong! It is incorrect to assume that simply bringing your children to church will cause them to emerge as spiritually mature and committed Christians as adults. Interestingly enough, a recent survey by George Barna reveals that most parents in America believe that it is their responsibility to instill spiritual truth in the lives of their children. Others surveys reveal that parents are indeed two to three times more influential in the lives of their children than any minister or church program. And yet, in the past, churches have poured the bulk of their resources and energies into bigger and better programs for children and youth. Although these programs may indeed be outstanding, the statistics reveal that what the church alone does is simply not enough. The average church has approximately 40 hours in a given year to influence the life of a young person. The average parent, however, has potentially 3000 hours per year to influence the life of a child! Clearly parents (and grandparents) are the key! Amazingly, this has been God’s plan all along. In Deuteronomy 6:6-7, Moses declared God’s Word to God’s people: “These commandments that I give you today are to be upon your hearts. Impress them on your children. Talk about them when you sit at home and when you walk along the road, when you lie down and when you get up.” Other biblical texts such as Psalm 78 and Ephesians 6:4 strongly encourage parents to take the spiritual training of their children very seriously. At Churchill Baptist Church, we believe it is our job to equip parents to effectively train their children in the Christian Faith as they go through the events of everyday life. Faith is far more important than just a couple of hours on Sunday. How do parents take on the responsibility of being the primary faith trainers in the life of a growing child? First, each parent must seek to grow in his or her own understanding of the Bible and relationship with Christ. Next, parents must learn how to engage in Bible-centered, age-appropriate, “Faith Talks” with their family in their own homes. Finally, parents must learn to utilize everyday opportunities to equip their children for the natural, spiritual milestones of life. Our discipleship process at Churchill begins in infancy and continues through senior adulthood. It is designed around 13 Faith Paths. Churchill Baptist Church partners with parents and grandparents to equip preschoolers, children, and students with the biblical and practical understanding to experience the next phase of life. In this way we build a legacy of faith into the next generation. The Faith Path program is literally a pathway for parents to walk with their children as they train them in the faith. All of our events, seminars, and ministries at Churchill Baptist are designed to support this pathway.